The accelerated approval of eteplirsen (renamed Exondys51™) by US Food and Drug Administration (FDA) garnered renewed enthusiasm for antisense oligonucleotide (AON)-mediated exon-skipping therapies within the Duchenne muscular dystrophy (DMD) community. However, this approval is not without dissent, particularly from within the FDA committee, originating from the discordance between functional improvements seen in patients and lack of efficacy at the cellular level. Undoubtedly, improvements in exon-skipping efficiency and delivery of AONs would go a long way to quell doubts on the applicability of this approach in DMD. Several novel strategies have been developed to enhance exon-skipping efficiency. These include modification of the backbone chemistry of AONs (e.g. tricyclo-DNA and peptide nucleic acid) or conjugation of a peptide (e.g. 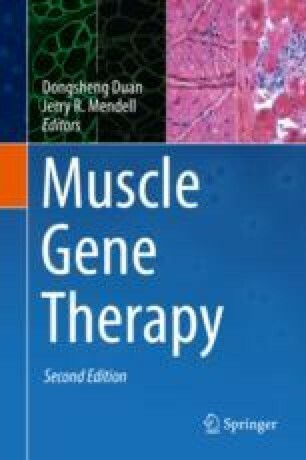 cell-penetrating peptide or muscle-targeting peptide) with AON and the use of adjuvants including hexose and dantrolene. Here, we examine recent developments in these areas and discuss the likelihood of future clinical application and limitations of these approaches.